Beautifully! Which is for a size. A 54mm? 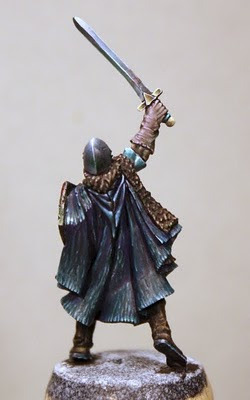 Very very nice, i like the NMM.... great look and great painting. I love how you worked out the texture of the different materials... nice nice nice, keep up the great work! Holy moly! 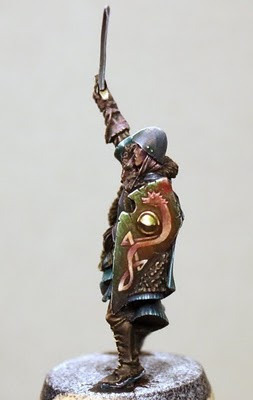 This NMM really does work. If you smooth it just a tiny little more, it would be perfect. The other parts are painted at a high level as well. My tributes to your fantastic skills! Hey Ho Oli ...great work and skill here!amazing rendition of metals,shield and fabrics...yes, I love it! Really cool painting. The colours and blending effects are very nice. 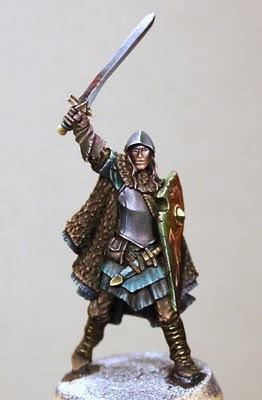 Only small point I have is the sword is slightly bent. Although it's a small thing it does show. Marijn, you are right with the sword.